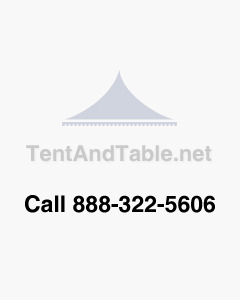 Tent and Table offers high quality, heavy duty tent stakes for sale. Our commercial tent stakes are designed to anchor party tents, bounce houses, inflatable slides and other equipment that simply needs to stay anchored! Our heavy duty tent stakes are made of high quality steel alloy, allowing for a strong and secure hold. Our tent stakes are also very durable -- rest assured that the point of your tent stake won't bend when going into hard surfaces. Shop at Tent and Table today for the highest quality steel tent stakes for sale. Our heavy duty stakes are perfect for your commercial party tents, wedding tents, event tents and more. Put your tent stakes to good use! Browse through our large selection of commercial tents -- from high peak frame tents, premium pole tents, standard pole tents, West Coast Frame canopy tents, Oxford Speedy pop up tents and more.